With nearly 10,000 members, the Washington Society of Certified Public Accountants is the only organization in the State of Washington dedicated to serving the professional needs of CPAs, educating consumers about CPAs and the services they provide, and encouraging students to study accounting and enter the profession. WSCPA Student Members receive big discounts on CPA Exam reviews and the Professional Ethics Exam as well as access to the state’s largest network of CPAs through network events and a members-only LinkedIn section. Students are also eligible for all other regular member benefits. WSCPA Student Membership annual dues are $40.00. The membership fiscal year runs from June 1 – May 31. The WSCPA considers you to be a “Student Member” until you receive your initial CPA license. Monette graduated from San Diego State University in 2005 and has had a career managing programs for various non-profits including PBS and the Make-A-Wish Foundation. 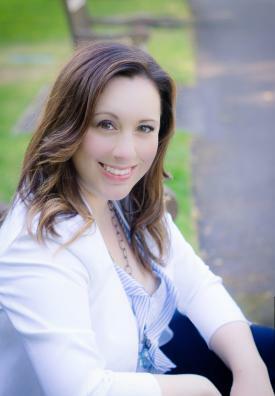 She worked very closely with high school and college students as a Donor Representative for the Puget Sound Blood Center before joining the WSCPA team as their Academic Relations Coordinator. She is excited to utilize her experience working with college students in this new role to help them utilize the benefits joining a membership organization can offer in their new careers, and to help accounting students gain access to as many opportunities as possible to further their career and personal development. In her personal time Monette enjoys photography and cooking.